Of course, it might not be that easy to quit election stuff cold turkey. You could get E.T. – election tremors – which cannot be cured by a simple phone home. Lack of endless political advertising and relentless media coverage could leave you feeling blue. Or red. At least until the 2020 elections. Who decided when Election Day would be? Congress did, in 1845! The U.S. Constitution never chose a specific date for elections, so they could be held anywhere between April and December. In 1845 Congress decided that elections should be held in early November. But why? Because in 1845 most Americans were farmers and the day chosen would not interfere with harvesting – nor be so cold as to hamper getting to the polls. Congress settled on the first Tuesday after the first Monday in November. Thus elections will always be held sometime between November 2 and November 8. But why the first Monday bit? Because, November 1 is All Saint’s Day, a Catholic day of obligation. By making the election the first Tuesday after the first Monday, Congress ensured that Election Day would never fall on All Saint’s Day. Most of you undoubtedly remember Zachary Taylor, who was the 12th president of the U.S. Taylor never voted in his life! He also didn’t even reveal which political party he supported until AFTER his 1848 election. Taylor, a Whig, probably didn’t release his tax returns either. What is it about presidential elections that occur in years ending in 48? Exactly 100 years after Taylor was elected, another odd moment happened in U.S. election history. November 3, 1948 was a good day to read the Chicago Daily Tribune if you were Thomas Dewey. That’s because the newspaper erroneously named Dewey as the winner of the presidential election. But the buck really stopped with Harry Truman. Bosco Ramos’s election as mayor of the unincorporated town of Sunol, Calif., in 1981 really raised the woof. That’s because Bosco was a dog! The canine candidate served as mayor until his death in 1994. In 2008 a statue of Bosco was erected before the Sunol post office. A dog doesn’t sound so bad when you consider that in Brazil voters once elected a rhino to the Sao Paolo city council! When George Washington ran for the Virginia House of Burgesses in 1758 he only spent 50 British pounds on his campaign. All of it went to buy 160 gallons of alcohol – which went to his 390 supporters. In 1872 incumbent President Ulysses Grant ran against Horace Greeley. But Greeley died before Election Day so he didn’t have a ghost of a chance to win. Of course some dead candidates do win! This year not even death could hassle the Hof. 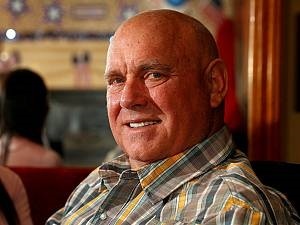 Dennis Hof, a Nevada brothel owner, handily won a seat in the Nevada state legislature — even though he died a month ago! Native Americans were given the right to vote for president in 1924 – though some states still refused to allow them to vote until the 1940s. In 1975 the Voting Rights Act was amended under President Gerald Ford and specially mentioned three states that still routinely discriminated against Native American voters. Arizona was one of them. Before 1804 whichever presidential candidate that received the second most votes became the vice president! Hey, which candidate became president – even though he failed to win either the popular vote or the Electoral College? (Hint: His father had been president before him.) Got it now? Yep, it was John Quincy Adams. None of the four candidates won a majority in the 1824 election so it was up to the House of Representatives to decide the matter. Adams won with a “corrupt bargain” with Henry Clay and the fact that Democrat-Republican Party loathed Andrew Jackson.